I’m not in the habit of setting goals for myself come the New Year. This is in large part because I always, always, always have the same handful of goals guiding my every step, no matter the season. And that driving ambition? To put a book out in the world. Though with such a challenging objective, it makes sense for me to break it up into smaller pieces. That’s why, in 2018, my goal was to finish writing and revising my book. I am proud to say that I accomplished that goal. My sixth book, a YA fantasy called Hymns of Salt and Terror, has undergone three rounds of revision, and is complete at just under 90k words. It isn’t perfect, and I’m sure that I could still find ways to improve it, but agonizing over that fact will only stagnate the process. Now, after three years, I finally feel ready to query. I have no delusions about the publishing world. Starting next week, when I send out my first batch of queries to literary agents, I will be exposing myself to rejection. I will be wide open, vulnerable. The future of my book is now out of my hands. So I designate 2019 the year of the query. But I don’t want to be all consumed by drafting better letters or writing more revisions (though I will certainly dedicate time to those). I want to start writing something new in 2019. I think, after being so close to this project for so long, I will rejuvenate in a change of story, perhaps even in a change of genre. So my goal for 2019 is not “to get an agent” or “to get a book deal.” My goal is to cast my line into the waters of publishing, and to write ever more. It’s easy to become overwhelmed by goals because so often we frame them as a thing that we want to achieve or possess. I find it much more assuring to stake my agency in actions. If I commit to the act of something, I do not constrict myself with the narrow outcome. I open myself up to possibility. Perhaps I don’t get an agent at the end of this road, but I know that no matter what, I will get somewhere. I know there are not many of you, and I know that what I post on this blog is not always top priority. Still, I would like to extend my heartfelt thanks to each and every one of you — for reading and being there and caring. I’ve been on hiatus from blogging for the past few weeks for a couple of reasons. One: I had to take finals and graduate high school and the general amount of things to do and goodbyes to say became a tad overwhelming. Two: I really needed to take some time to get my head straight. My personal life is in a bit of an upheaval, and the stressful transition has not been gracious to my mental health. I’m sure many of you can understand. The summer before my senior year of high school, I attended the Iowa Young Writers’ Studio, which is a writing camp that draws teenagers from all over the world. For my senior project, I wrote an essay about what I took away from that summer. Today, I would like to share an excerpt with you. When my parents greeted me at the airport after IYWS, they wanted to know how I felt about the experience. How I felt? How could I possibly explain to them how I felt? What I did? Who I met? I struggle writing this paper now because a part of me fears forgetting. I don’t want to forget what happened in Iowa, and writing about it cements the knowledge that it is over, and runs the risk that I will miss a detail that at the time, felt so important, so crucial. I want to do my experience justice. I suppose how I feel is…relieved. I am relieved that I am not the only one who prioritizes writing over sleep and social interactions. I am relieved that I now have a network of friends and teachers who will help me, honestly and often brutally, improve. I am relieved that there is a place where saying that you want to pursue a writing career is not given leery looks and paired with questions like, “Ok, but what are you going to do to, you know, make a living?” I am relieved that there are writers out there who can make a living and enjoy their craft for what it intrinsically is — and maybe they don’t make a lot of money, but they’re happy where they are. I am relieved that writing isn’t an unrealistic dream. Now, I am going to expect everything from my writing. My pay off will be my own satisfaction. Attending the Iowa Young Writers’ Studio was a great, immeasurable relief. Marvelous news! Today is the two year anniversary of Stellular Scribe! It all started in 2014 when I was an awkward teenager (a fact that has yet to change), progressed into the dark ages of 2015 (where months would go by with nary a post), and emerged bright and shiny in 2016! I would like to extend my personal thanks to anyone who has ever liked my posts, commented, followed, or even just stopped by. While Stellular Scribe is first and foremost a labor of love and the number of followers or likes I get doesn’t matter, I appreciate each and every one of you. On that note, I do have a bit of exciting news. This past week has been incredibly busy and I’ve had to break my posting schedule to make room for everything that’s been going on. On top of training for and running a 5k, I recently finished acting in my school’s production of You Can’t Take It With You, which went off without a hitch. My big news, however, is that my novel was awarded a Gold Key by Scholastic in the Art and Writing Awards. What does this mean? I don’t really know. I didn’t win the ultimate grand prize or anything, but I’m still incredibly grateful and can’t help feeling undeserving. What I do know is that this award has offered me the recognition I need to motivate myself. For the first time ever, I want to go for it, and I mean really go for it: editing, querying, publishing, the whole shebang. And if that doesn’t work, I’ll self-publish. It might take a year or two, but I’m determined. My blog’s anniversary could not have come at a better time. I look forward to another year of reading, writing, music, and mayhem!  Welcome to the new Stellular Scribe! Huzzah! I declare this site arisen! So, I’m a senior in high school and have been pretty much swamped with applications, testing, school, and extracurricular work for the past five months. By some miracle, that dark and lifeless stretch of time has managed to accumulate 300 followers on this blog! Thank you, thank you, thank you from the bottom of my heart. I do not deserve all of you. In light of this glorious occasion, I have decided to get my act together and actually make some content that is not the random poem that I post at 2 in the morning every other week. That’s right, I’m making a post schedule — and I’m going to stick with it. First things first: I’m sure you’ve noticed that this site has undergone a makeover. All of the artwork — the header, the background, and the profile image — are original works that I painted in Photoshop. If you are interested in looking at more of my doodles, you can check them out here. If you weren’t aware, I have an account over at 8tracks where I make a lot of writing playlists. On Mondays, I’ll make a master post of great mixes for concentration, character archetypes, or just all around writing inspiration. If you are unable to access 8tracks, I will try to include a list of all the songs in the playlist so that you can go and listen to them for yourself, too! Along with these recommendations, I will write a little spiel giving my two cents on how to make time to write and relax while you’re doing it. Wednesdays are Writing Tip Wednesdays. I am by no means an expert on the English language or writing technique, but I have dedicated all of my energy and free time to writing over the past few years, and have picked up some helpful tips, tricks, and hacks along the way. On Wednesdays, I’ll share what I know with you — whether it be about voice, symbolism, character development, or subplots — and I hope that you can teach me some things along the way, as well. And Fridays are Free-Write Fridays. It’s exactly what it sounds like — on Fridays, I’ll post my latest poem, short story, or rambling thoughts. I see this as a great opportunity for me to grow and learn as a writer, and having a date on which to share what I’ve been working on will give me some concrete motivation to write even more!